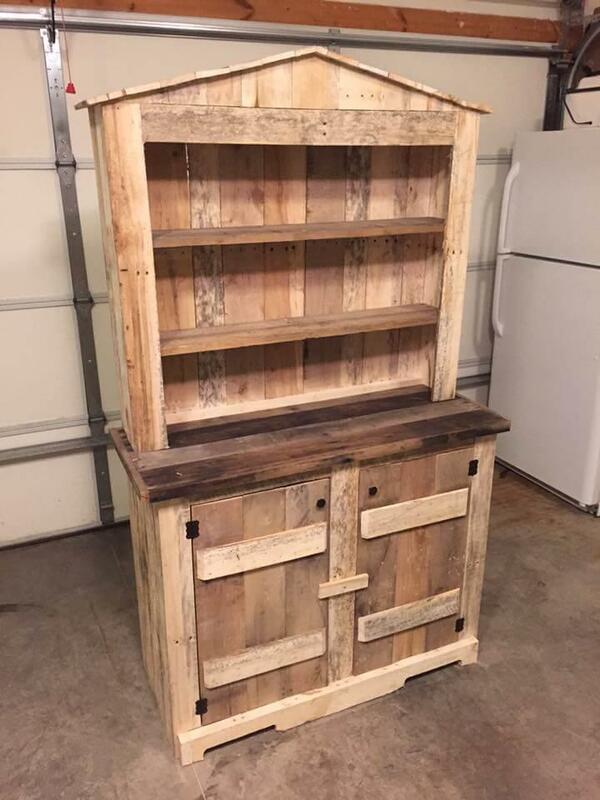 Pallets have awesome capability to be rebuilt into furniture structures we use mostly in home! After a kitchen counter or island, a hutch is a most preferred piece of kitchen furniture and is mostly adopted to organize the kitchen ware nicely! If you are willing to avail some no-cost alternatives to adorable wooden hutches, then you are just at a right place! 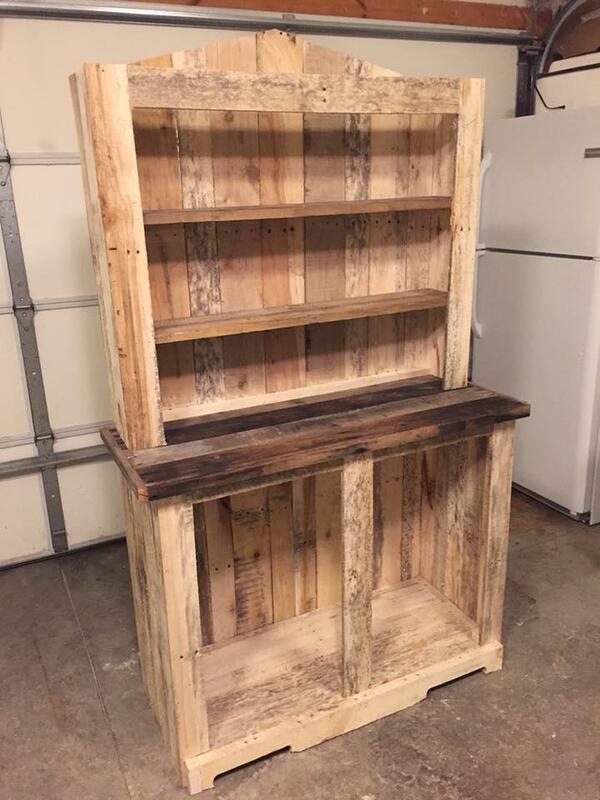 Look at this DIY pallet hutch, having remarkable design with lasting beefy dimensions! In comparison of stability and features, it can even beat the industrial model, it provides outstanding shelving space to organize a bundle of your kitchen spice jars and lower is having awesome storage space in cabinet style and has been secured with hinged wooden door! Pallets boards have been strip down to gain bundles of individual wooden lengths which have then after been schemed up to gain this lasting infrastructure of kitchen hutch! A paint coat can determine a more modern look of it and using stain with a wooden sealant can really create more stability and water or liquid-proofing to it! Design has a perfect boundary lines inspired of traditional furniture trends and would make an awesome choice to use in vintage inspired kitchen! chevron style top is what that raised the aesthetic value of it to peak! Here is how it has been build with pallet slats, separated apart pallet stringers have been fixed at bottom for an artistic look of bottom! Just enlarge the dimensions to gain more storage space or shelving levels!